Morning lovelies! I'll be back to posting nais (and maybe some kittens) again real soon, but first I have a preview for you of the China Glaze Fall collection, and some info about their new website. I always get excited when I receive CG previews, and this one didn't disappoint at all! Totally perfect for Fall, and with some unique polishes as well, curious to see more of them! How about you, does this collection get you in the mood for Fall as well? China Glaze® All Aboard will be available in September 2014 at fine salons and beauty supply stores nationwide. In addition to open stock, 12-piece and 36-piece displays, the collection will be available in two six-piece sets, “Loco-Motive” and “All Aboard”. Individual polishes will retail for $7.50 MSRP and the six-piece box collections will retail for $45 each. China Glaze® nail lacquers are available through salons and professional beauty supply stores nationwide. For more information, please visit www.chinaglaze.com or follow China Glaze on Facebook (@ChinaGlaze), Instagram (@ChinaGlazeOfficial), Twitter (@ChinaGlaze) and Pinterest (pinterest.com/chinaglaze), #ChinaGlazeAllAboard. 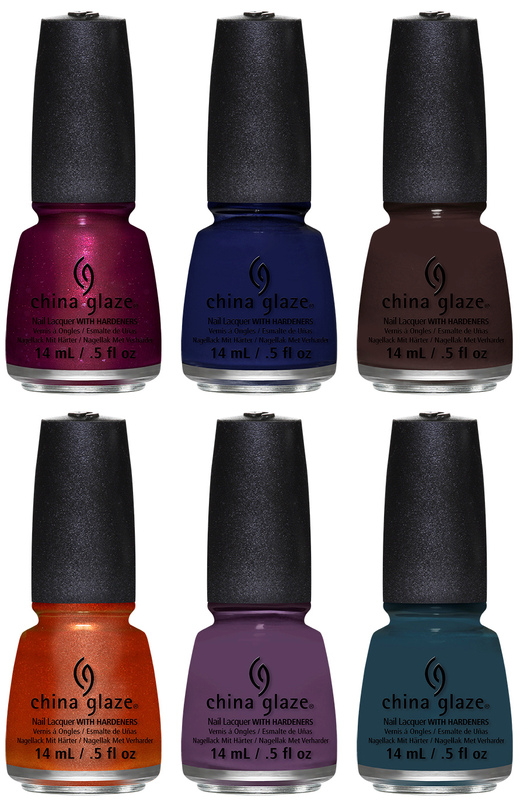 Los Angeles (August 15, 2014) – China Glaze®, a leader in innovative nail colour and technology, has unveiled a new look for ChinaGlaze.com. Responsive to mobile and developed with social traffic in mind, the new site is visually intriguing and demonstrates the extensive colour selection China Glaze® has to offer. The revamped site boasts a fashion-forward look and easy navigation, and is designed to promote products while building a community of colour enthusiasts through linking content, personalization, trends and inspiration. Focused on consumer loyalty, ChinaGlaze.com’s new design gives consumers an outlet to more deeply interact with the brand online and via social media. Seeking Colour – We are surrounded by beautiful colour every day. China Glaze® captures those moments of colour inspiration in the Live in Colour: Colour Quest section. From fashion and beauty to travel and lifestyle, and everything in between, users can browse by a specific colour shade or theme to spark inspiration. They can also upload their own colourful visuals and favorite nail art looks to add to the gallery. On Trend: Visit the Trending section to view a live feed of trending content connected to China Glaze®’s Pinterest, Facebook, YouTube, Instagram and Twitter feeds – all pulled together in one place for easy navigation. Nail Artist – Click through the What’s Hot section to get the latest nail art trends. Each design features step-by-step tutorials to easily recreate looks such as Half Moon, Polka Dots and Galaxy nails. Designs are sorted by Beginner, Intermediate and Advanced skill set, and feature suggested shades to replicate the look. Beauty Beholder – Consumers can create a user account with the option to use their Facebook account login credentials to save their favorite China Glaze® shades and collection, create a wish list of shades and an inventory list of shades they already own. Virtual Manicurist – In the Try On: Colour Studio, consumers can virtually try on any China Glaze® shade, customizing the skin tone, nail length and nail shape to match their own hand, and save desired shades to their user account for easy reference. Responsive Layout – No matter the device, the new ChinaGlaze.com design optimizes and delivers the website in the best way possible. Visit the new ChinaGlaze.com – live now – and get inspired! China Glaze® is free of DBP, toluene, and added formaldehyde. China Glaze® nail lacquers are available through salons and professional beauty supply stores nationwide. 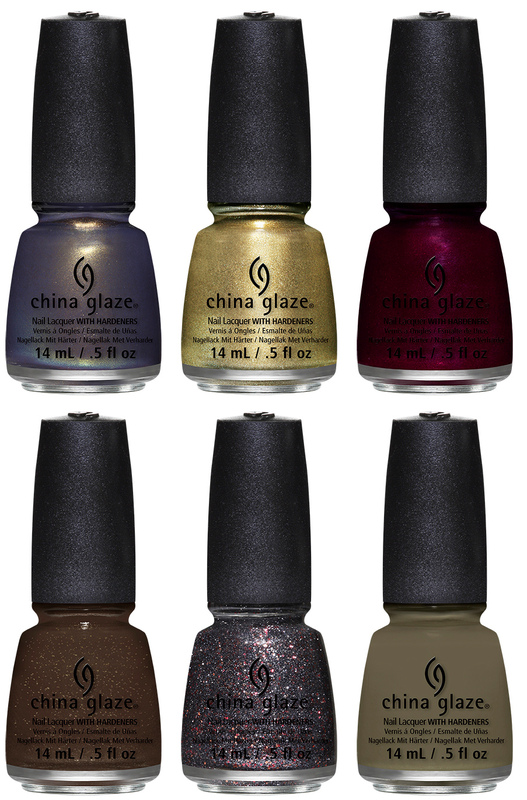 Follow China Glaze® on Facebook (facebook.com/chinaglazeofficial), Twitter (@chinaglaze), Instagram (@chinaglazeofficial) and Pinterest (@chinaglaze). For 42 years, AII has been the leading manufacturer and worldwide distributor of innovative, quality beauty and skin care products for men and women. Our product lines include Andrea, Ardell, Body Drench, Bye Bye Blemish, Checi, China Glaze, Clean + Easy, Clubman/Pinaud, DUO, European Secrets, EzFlow, Fright Night, Gena, GiGi, Gypsy Lash, IBD, It’s So Easy, Jeris-Lustray, Jerome Russell, LASH BeLONG, Nail Tek, No Tweeze/Micro Tweeze, 'N Rage, Poshe, Prolinc, RAW, Salon Perfect, Seche, SuperNail, Surgi-Care, Waterworks, Winning Nails, Woltra, Woody’s, and Youthair. For more information, visit our website: www.aiibeauty.com.